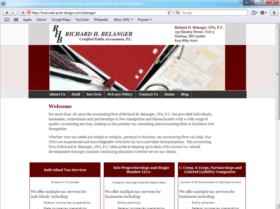 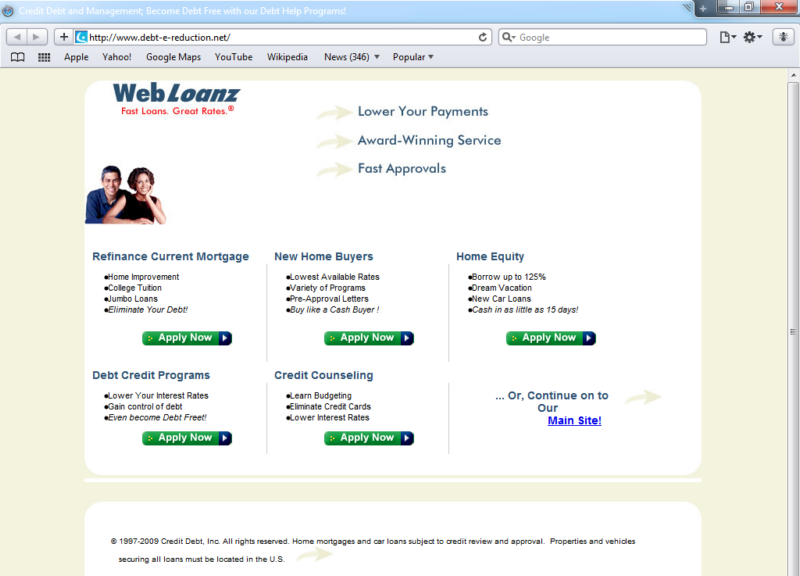 Our web development standards meet or exceed the special needs of banks and financial service companies. 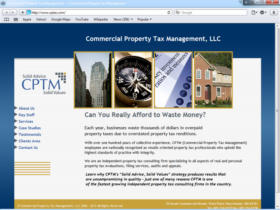 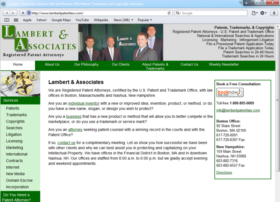 We are familiar with the needs of compliance teams, and we can work with an institution's internal Marketing Department or as their outsourced Marketing Communications ad agency team. We also understand the Audit process, and can guide your financial institution to solid decisions for online banking, hosting (we wouldn't recommend signing a 10-year contract...) and SEO for obtaining new clients. 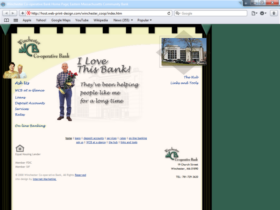 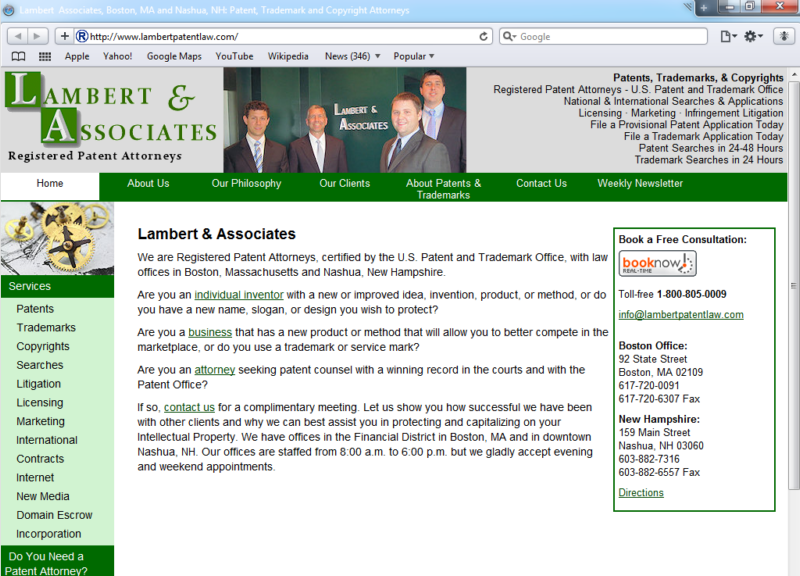 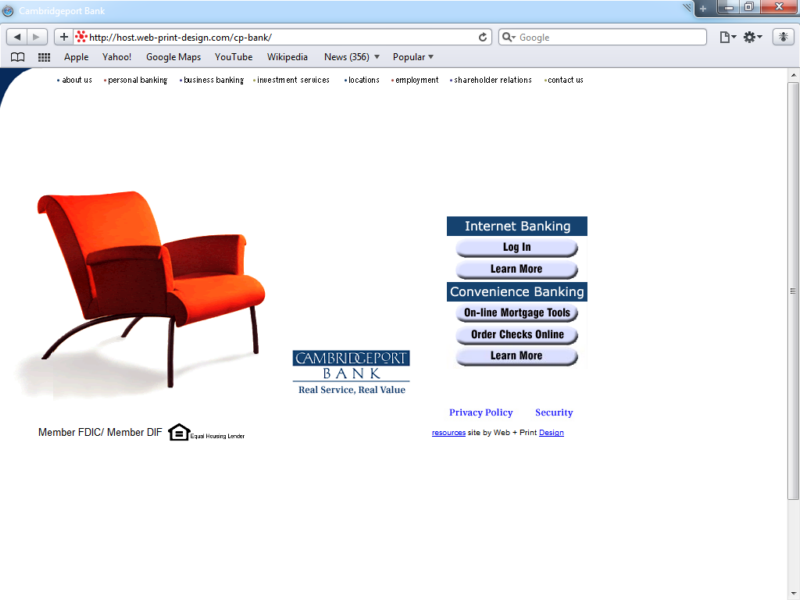 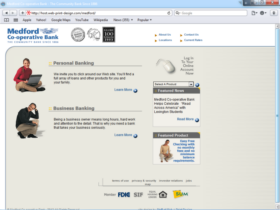 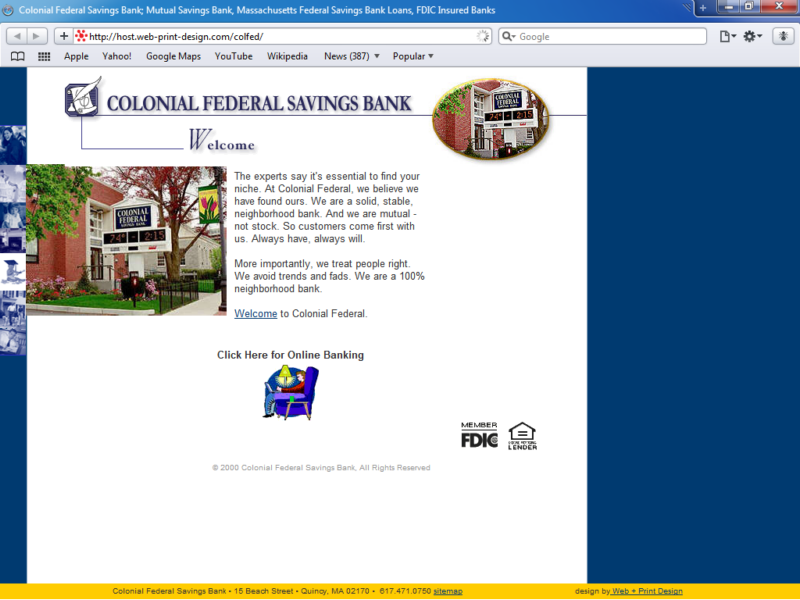 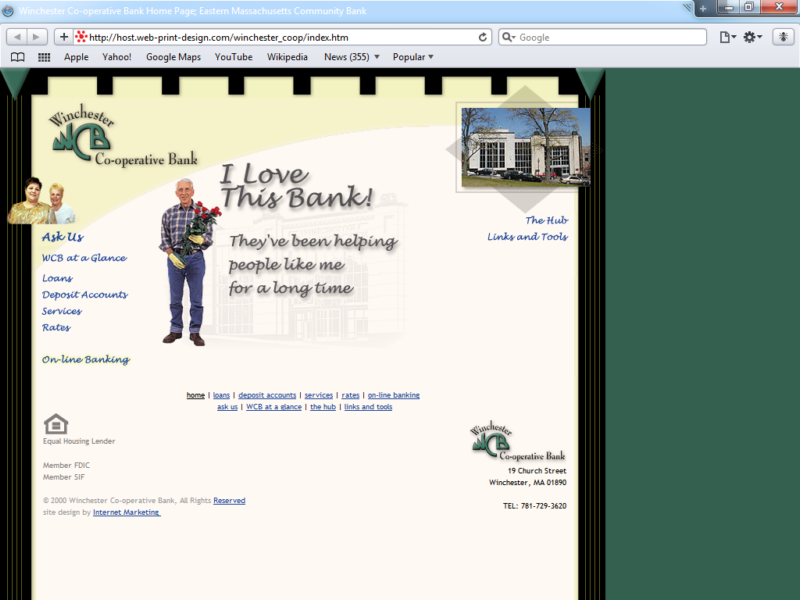 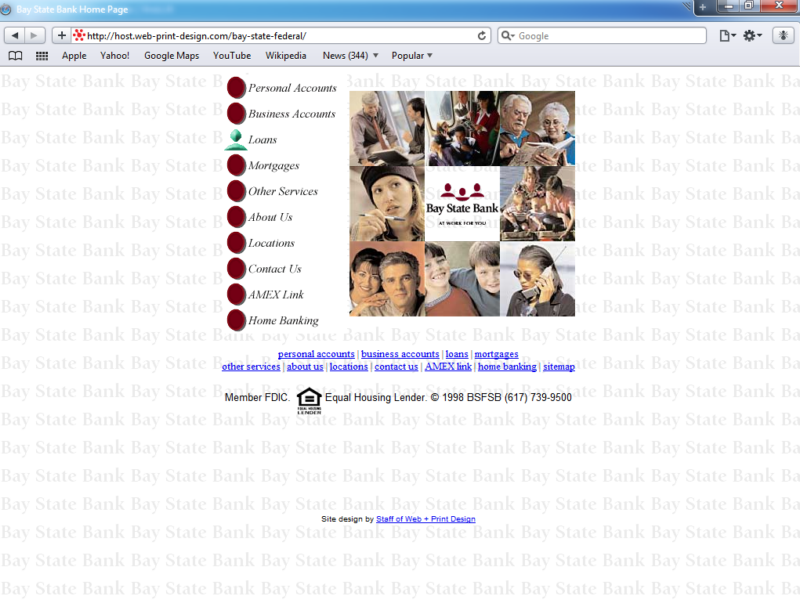 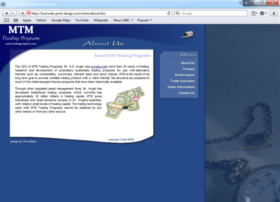 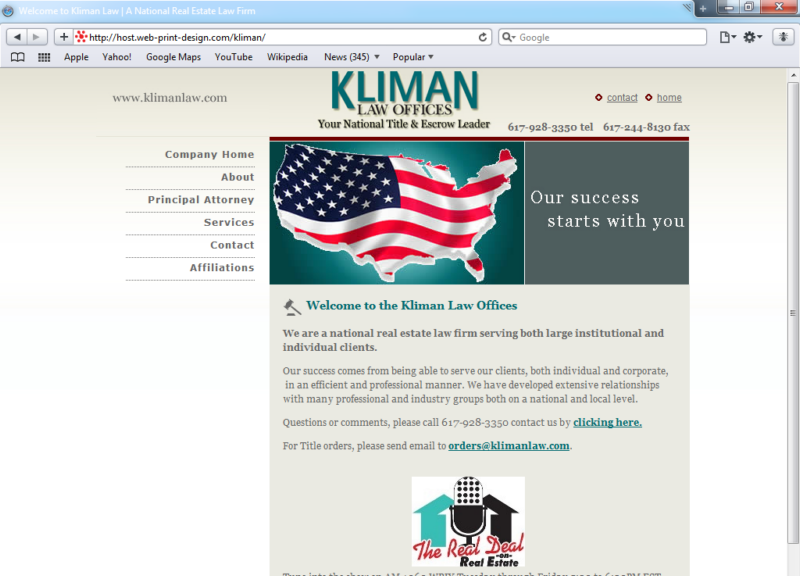 Medford Cooperative Bank approached us for a site design inspired by Citizens Bank and Bank of America. 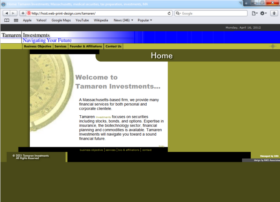 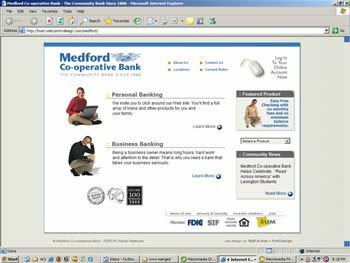 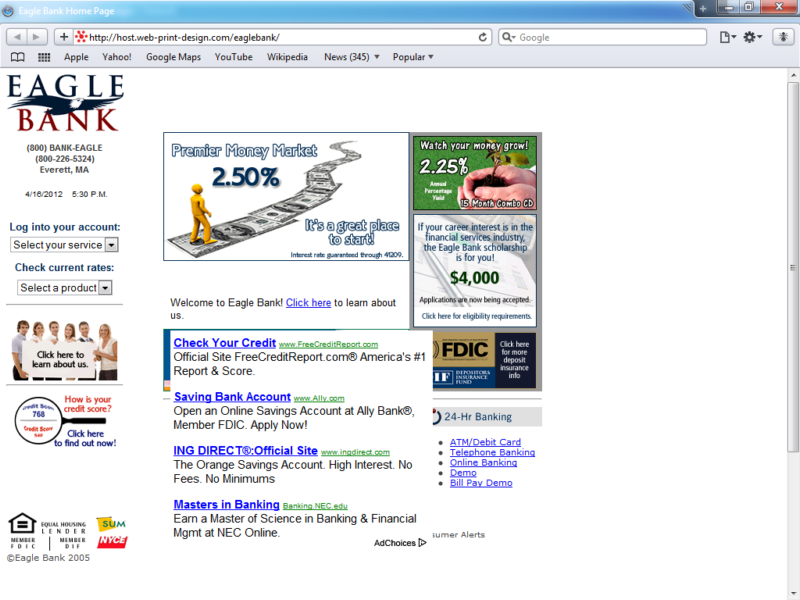 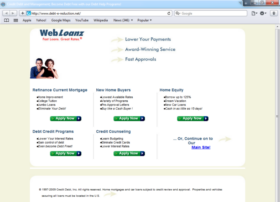 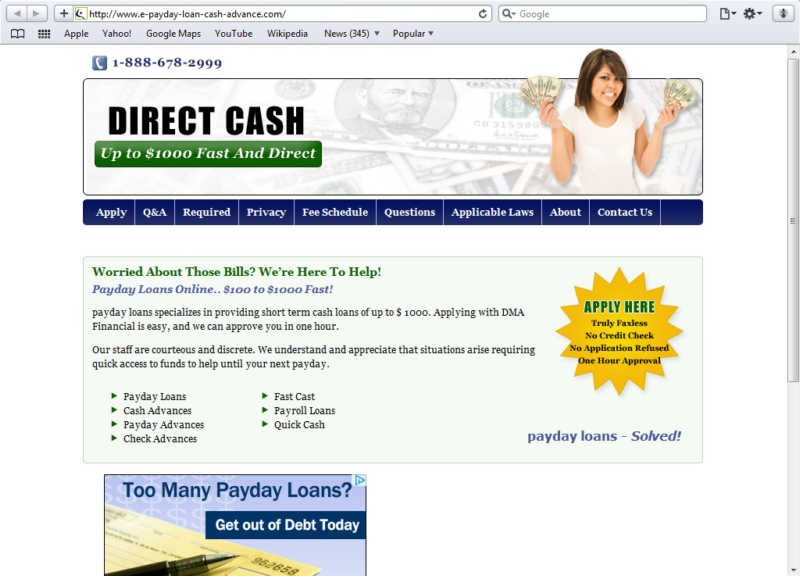 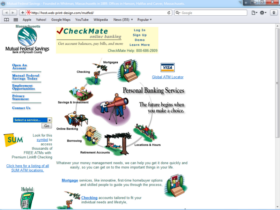 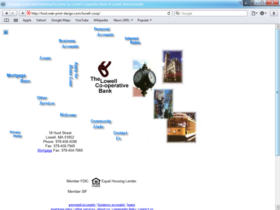 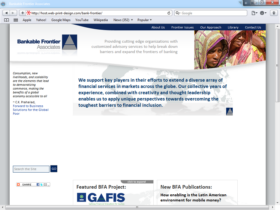 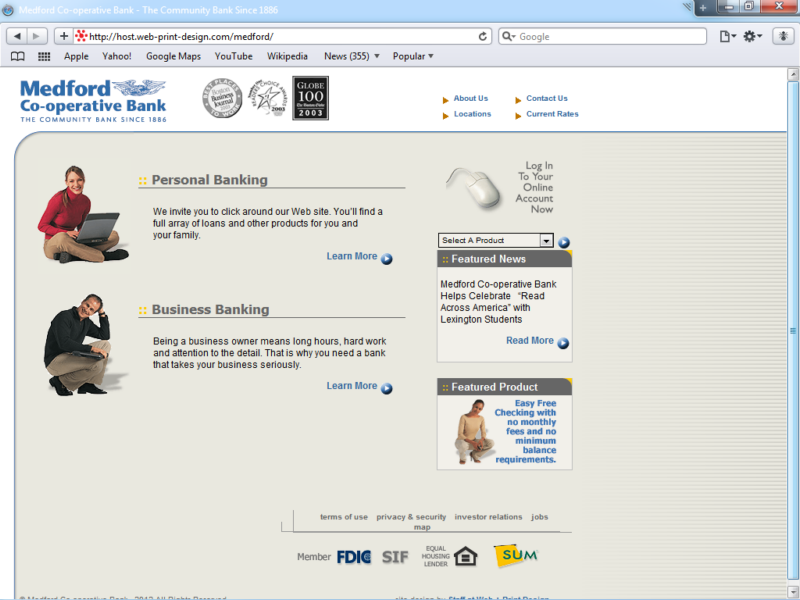 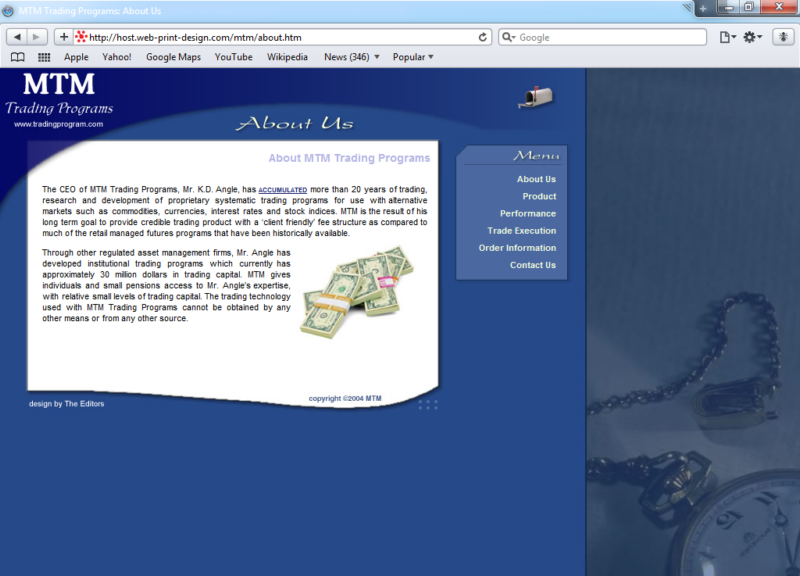 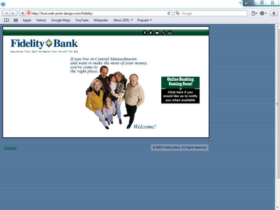 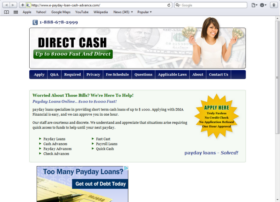 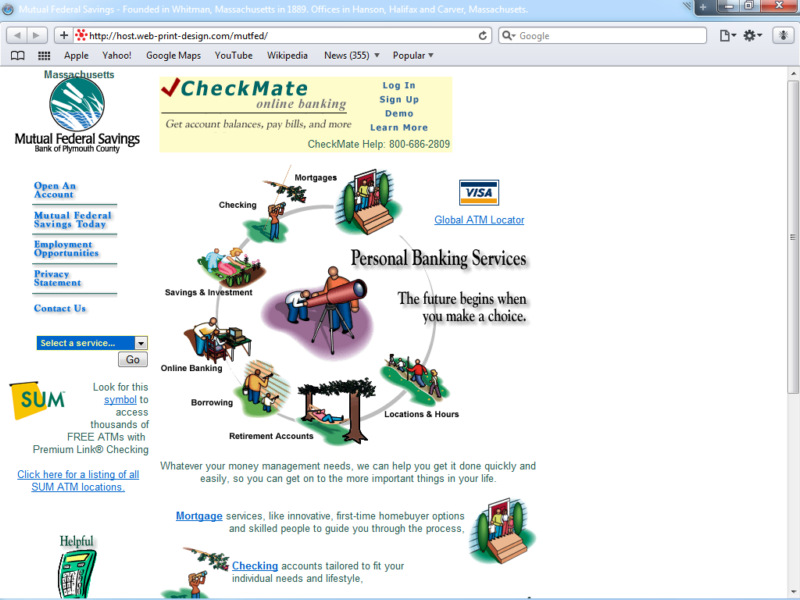 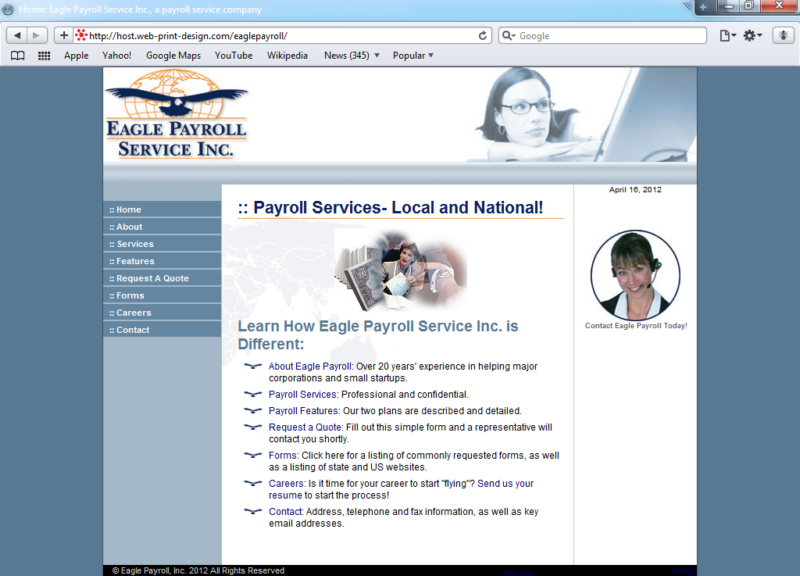 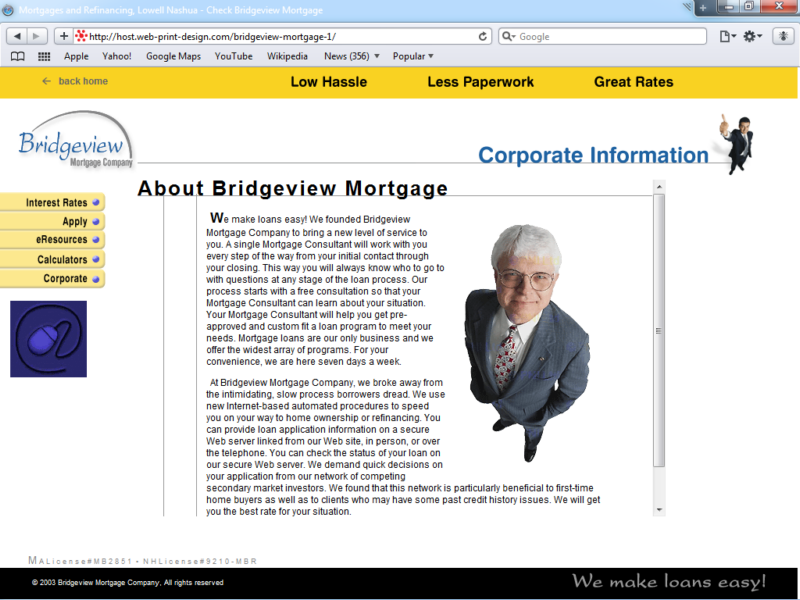 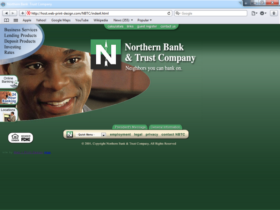 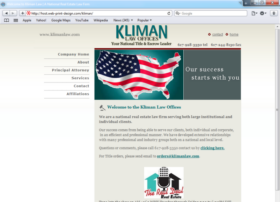 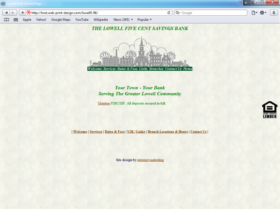 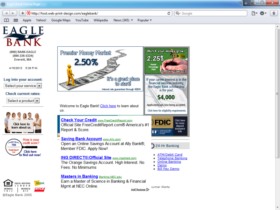 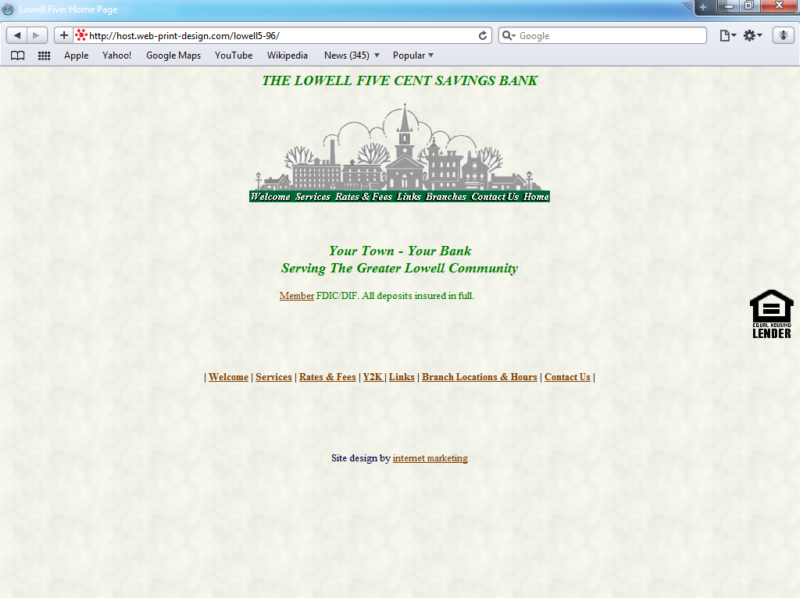 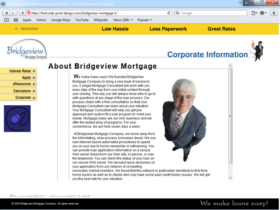 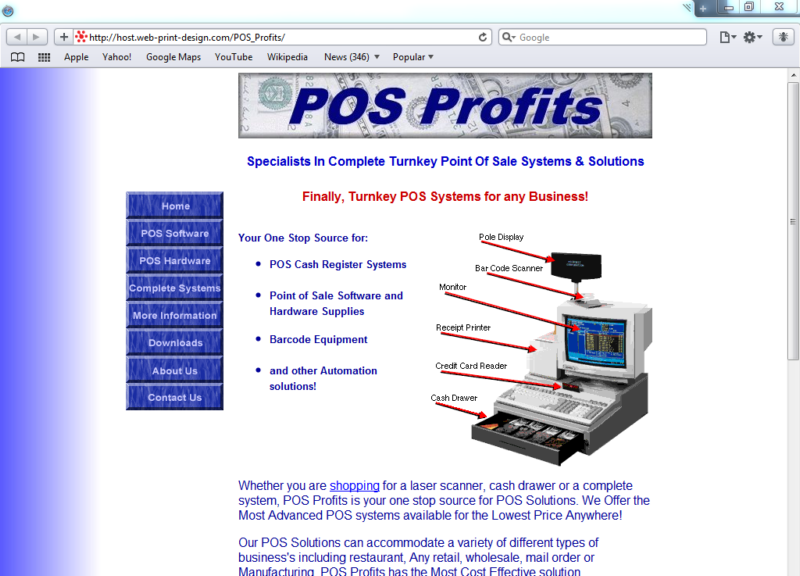 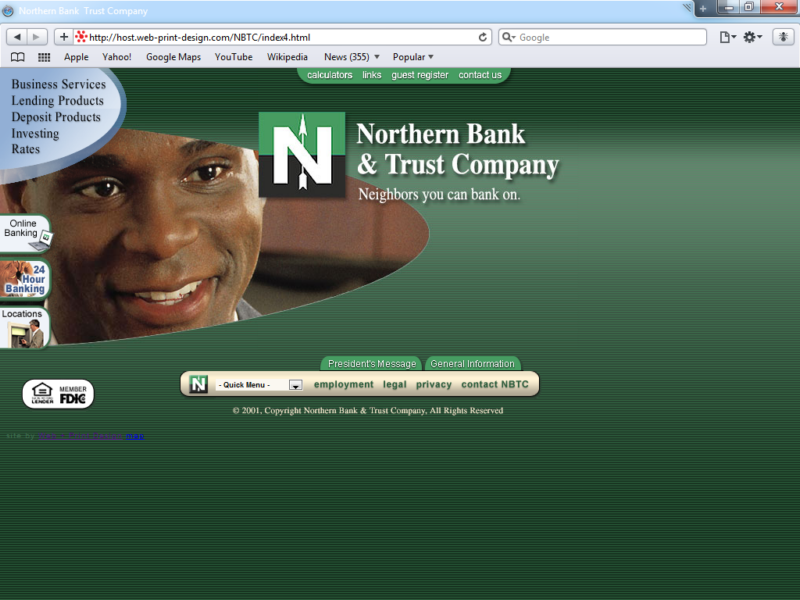 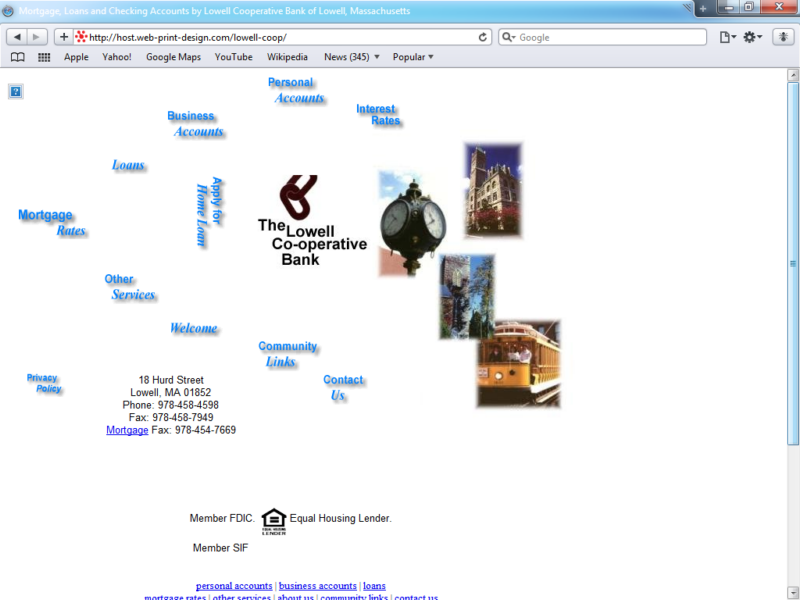 The design must have worked; they were purchased and merged into another bank group within 4 months of the sites launch in 2005.